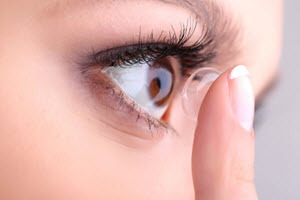 Soft contact lenses are designed to be inserted and removed by the wearer without the use of any lens-tool (neither the tweezer-like type or the plunger-like type of tool). Most wearers use their index or middle finger. Learning how to insert and remove CL:s can take some practice and it is quite easy to accidentally scratch ones eye in the process, especially if the fingernails are long. Short fingernails are recommended for the novice. If you have multi-use CL:s stored in a lens-box (lens case), wash the closed box well to avoid transferring particles from the outside of the box to the CL:s when you eventually open it. Wash your hands thoroughly with soap and rinse well. Don’t forget the nails and under the nails. Avoid soaps that can irritate your eyes, e.g. heavily perfumed soaps or soaps with moisturizers. Also avoid drying your hands on something that will contaminate them again or transfer lint to your hands. Remove a lens from the lens-box or take a new lens out of its protective package. Carefully inspect the lens for defects, such as splits in the lens or a gritty surface. Multi-use CL:s can suffer from a build up of proteins and lipids that makes the lens look rough. Such a lens must be cleaned carefully with CL solution or discarded. Check that the CL it isn’t turned inside-out. 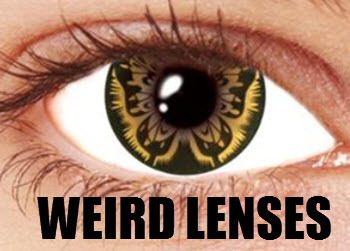 Some soft CL brands have markings on the rim to make it easier to see if the lens is inside-out. Place the lens on the pad of your index or middle finger. The concave side of the lens should be upwards. Then use that finger to place the lens on the eye, while using your free hand to keep your eye wide open.Of course, it is important that you put the right-eye CL in your right eye and vice versa. The are many variations when it comes to exactly how to place the CL in the eye, so our recommendation is that you practice to find out which technique that suits you best. We are all individuals with different preferences and abilities. Don’t expect to get it right the first time around – learning how to insert CL:s will usually take a while. If your eyes get irritated, take a break. 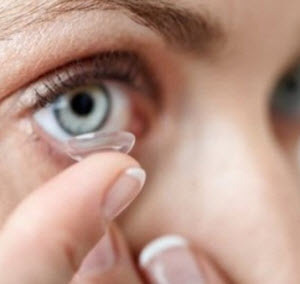 Instead of placing the CL directly on the cornea from the start, many users prefer to place the CL on the white of the eye (sclera) and then slide it into place over the cornea using the finger or eye movements. If the CL folds, turns inside-out, sticks to your finger, or falls of your finger, clean it with CL solution before trying to insert it again. Just as with the insertion, you are recommended to practice to find out exactly what works best for you when removing your CL:s. There are a lot of small variations that can have a major impact when it comes to removing CL:s.
Use the same washing protocol as described above. 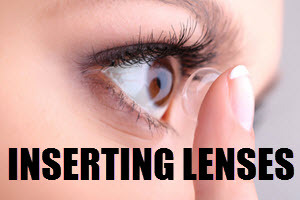 That includes washing the lens-box if your CL:s aren’t single-use. A soft CL can usually be removed by simply pinching the edge of the lens using your thumb and index finger. However, soft CL:s do tend to adhere quite a lot to the surface of the eye, so learning this can take some practice. 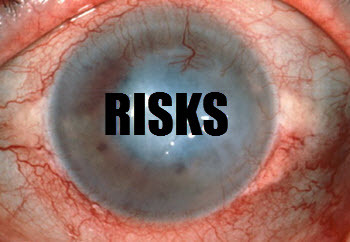 If you want to reduce the risk of scratching your cornea, slide the CL off the cornea and into the white of the eye before you attempt pinching and removing it. Use your free hand to keep the sufficiently eye open. Another removal method is to simply push the CL so far to the side or bottom of the eyeball that it folds and falls out of the eye.